Fisher Price Nickelodeon Blaze & Monster Machines Super Stunts BLAZE New! 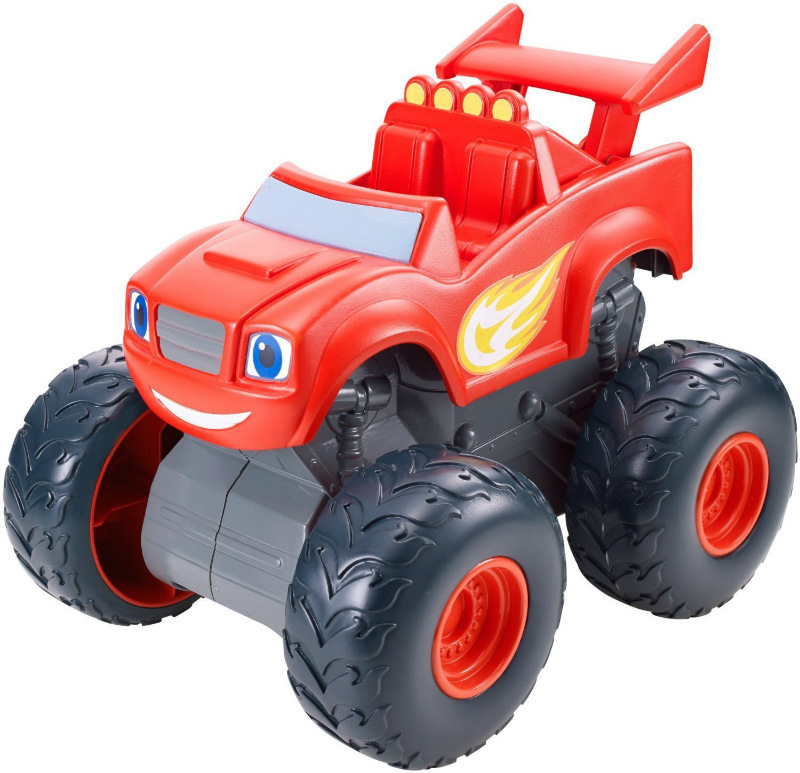 Start your engines and get ready for Blazing Speed and stunts with Axle City’s greatest hero, Blaze! A champion on the streets or on the racetrack, Blaze is always ready to race into action! Rev up this Monster Machine to see him use balance as he performs side-wheelies, back-wheelies and even a 360° spin on his rear tires! But, hold on to your hubcaps… that’s not all! 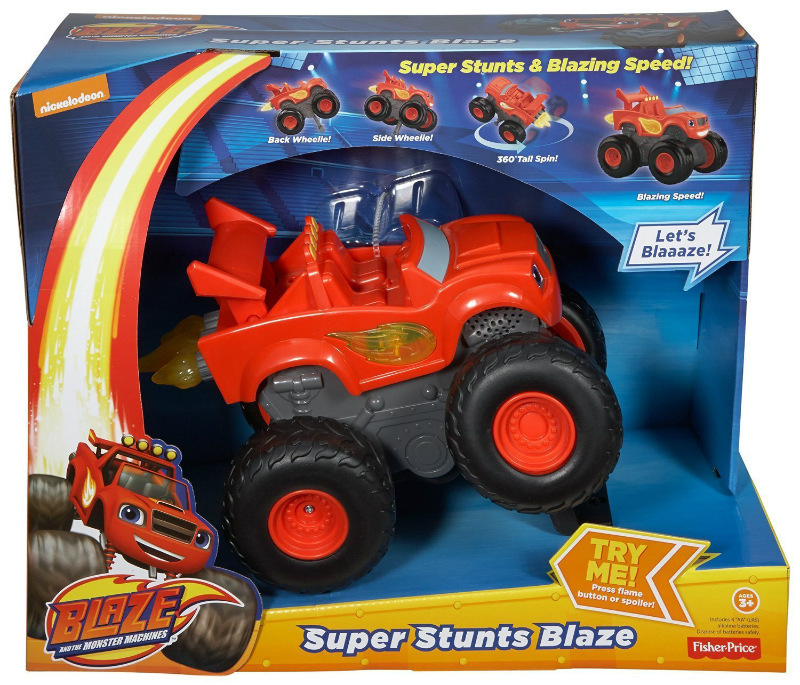 Just like this big-wheeled hero does on the television show, Super Stunts Blaze can accelerate into action with Blazing Speed! He’ll rear back into position before racing off in a Blaze of glory! Blaze’s mouth, side flame and boosters light up and he comes with lots of interactive phrases! Blaze asks kids to rev him up for full speed, celebrate with a high tire, and even make a pit stop to get ready for more super stunts! Ready? Let’s Blaaaze! Ages 3+. Brand new and never removed from the package which is in good condition! I will discount shipping if you win more than 1 auction! This item weighs approximately 5 lbs. (1 lbs. = .454 kg) including packaging.